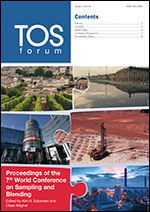 This was published as a special issue of TOS forum and all papers are Open Access. Edited by Kim Esbensen and Claas Wagner. 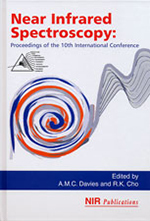 The book consists of 201 chapters, which are drawn from the papers presented at the 11th International Conference on Near Infrared Spectroscopy (NIR-2003), held in Córdoba, Spain. It is useful for the researcher starting out in NIR spectroscopy, who will benefit from the experience of many scientists already working in the field, as for the established NIR practitioner who will find in it a wealth of information on other approaches and applications. This collection of papers comes from NIR-2001 held in Kyongju, Korea, in June 2001. The slogan for the conference was "Changing the world with NIR", and NIR is increasingly doing just that! New instruments, new chemometric techniques, new applications, and new areas of exploitation are all covered in this book. This is essential reading for anyone involved in or contemplating using NIR spectroscopy. 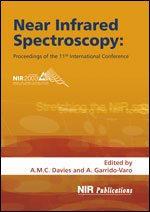 Near infrared (NIR) spectroscopy continues its expansion with new instruments, new chemometric techniques, new applications and new areas of exploitation and this is captured in the Proceedings of NIR-99, containing 161 chapters covering almost all aspects of NIR spectroscopic endeavour. As one of the lecturers at the conference, in an historical overview of NIR, remarked "Most of the people who have contributed to its history are at this meeting!" 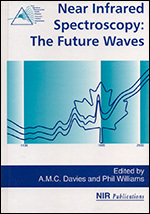 Everyone working in NIR technology, or just entering the arena, will need a copy of this volume. This is the Proceedings of NIR-95. 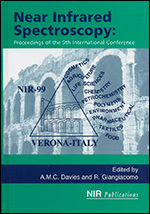 A comprehensive collection of the latest developments in NIR spectroscopy from the leading scientists in the field. The scope of the book is immense, with 125 chapters on topics ranging from farming to pharmacy and food to Fourier transformation. Comprehensive author and subject indices are provided. 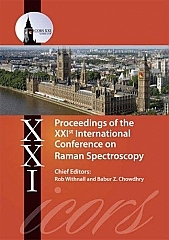 Proceedings of the 21st International Conference (XXI ICORS) on Raman Spectroscopy contains publication of the plenary and invited lectures reporting exciting developments in diverse areas of Raman Spectroscopy.